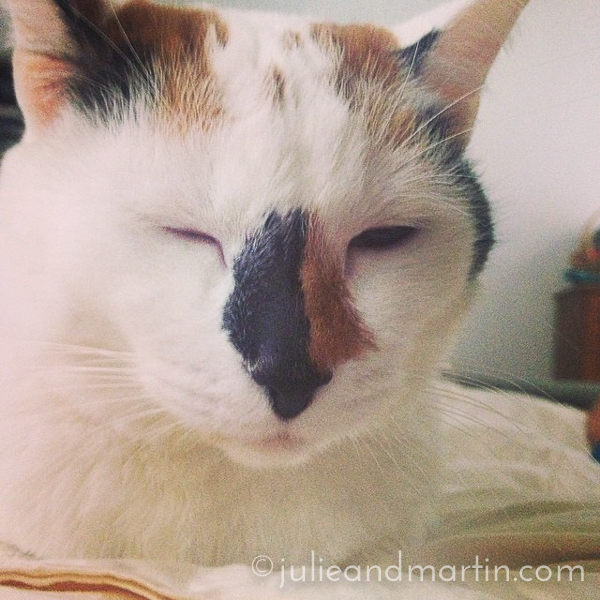 As Ellie the Cat napped on my lap, I said, “Smile!” … and she made this face. She’s probably been out of the house this past week more than she’s been out of the house in SIX YEARS. Vet visits for her “passport” paperwork and pet store runs to make sure we’re getting the right size accommodations for her and the others. Doing as much as we can to prepare them for the big move, too.